(GAMEWEEK 3) at Etihad Stadium, Manchester. MANCHESTER - Substitute Alvaro Negredo's header and Yaya Toure's late free kick ensured Manchester City returned to winning ways following last week's shock at Cardiff. The match was pretty even in the first half, and Danny Graham had a goal disallowed for offside before Joleon Lescott forced a save from McGregor and Robert Koren's effort flew wide for the visitors. 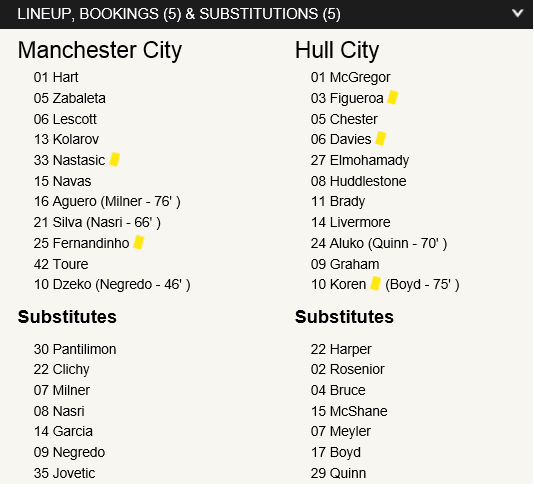 Hull were arguably the better side in the first half, and as they bossed from midfield Aguero could only manage a cross shot which Allan McGregor kept out. The hosts were very threatening in the first half only on the counter attack as things remained goalless at the break. After the break, Alvaro Negredo, the summer signing, came on in place of Edin Dzeko and made an instant impact, round off a stylish move involving Aguero and Zabaleta to head home from close range. City vastly improved their game in the second half and it looked as if they were only going to survive by the skin of their teeth befor Yaya Toure's second free kick goal of the season flew into the back of the net and ensured they rose up to second place, two points clear of champions Manchester United. TSM Man of the Match, Jesus Navas. The sky blues will be relieved with the result and will now look forward to the return of captain Vincent Kompany while the Tigers still will be optimistic after last week's win against Norwich with ten men. 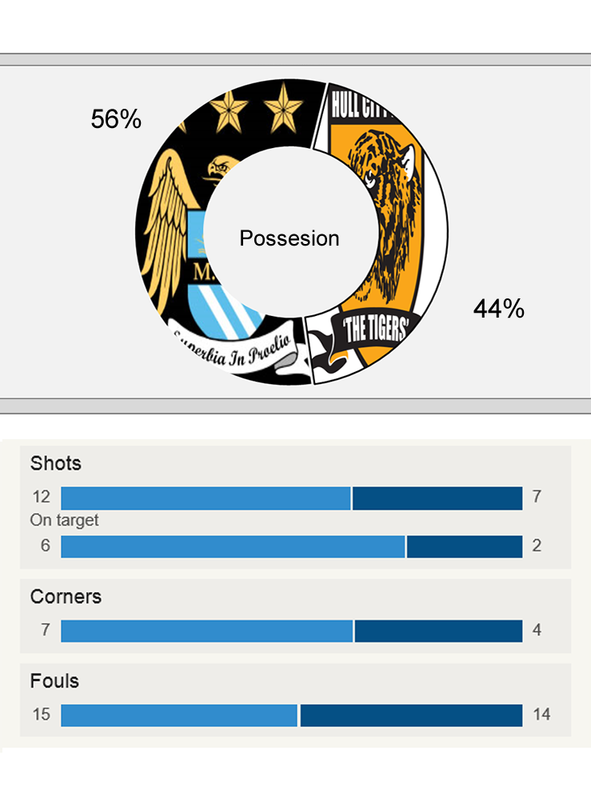 MATCH COVERAGE, RESULTS, FROM MANCHESTER CITY VS. HULL CITY TIGERS IN GAMEWEEK 3 OF THE 2013-14 PREMIER LEAGUE SEASON.